Great news- consumers no longer have to stress about the Los Angeles International Airport (LAX) traffic when choosing to fly from Southern California to China. Starting March 25th, Ontario International Airport will be offering daily flights to China through China Airlines becoming the only other airport in the Inland Empire, that has the capacity for this type of long-haul service. 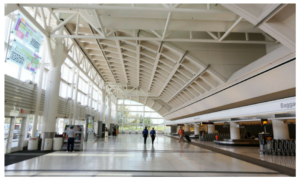 Ontario International Airport as a point of entry and exit will be a lot more welcoming. This new international service will encourage travelers to visit other cities in the United States as well! Soon these nonstop flights will bring additional connecting flights that make traveling and exploring new places around the world more accessible and convenient for everyone in the surrounding area! Within close proximity to the Ontario International Airport are several of our Lewis Apartment Communities! With some of our communities being in such close proximity to the airport, it makes the commuting to the airport more manageable and less stressful. While living in one of our apartments near Ontario International Airport is convenient, it is also a uniquely modern lifestyle because we focus on building community while having access to a wealth of amenities. at Homecoming at The Preserve – a resort lifestyle apartment community. 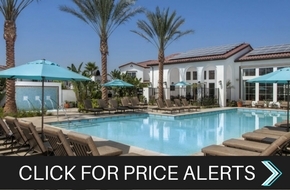 These apartments in Chino, CA are one of our “A-List” Award Winning Apartment Communities because it is designed to be a great fit for all lifestyles. Click here to learn more. Amy Trinh is currently a Marketing Psychology and Digital Art student at Whittier College. Amy began at the Lewis Group Of Companies – one of the nations largest privately held real estate development companies, in summer of 2017 as a Marketing Intern where she creates graphics and blog content. When she is not on the computer, you can usually find her exploring sunny Southern California with a camera in hand or at Disneyland. Not everyone has access to, the money for, or even the desire to go to a public gym….